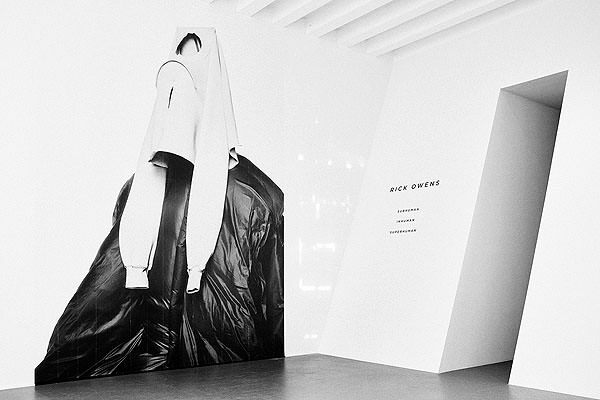 Rick Owens is a rarity in fashion in that he is both a showman and a philosopher, as able to stage Paris's more theatrical runway shows as ponder his own mortality through monumental furniture design. 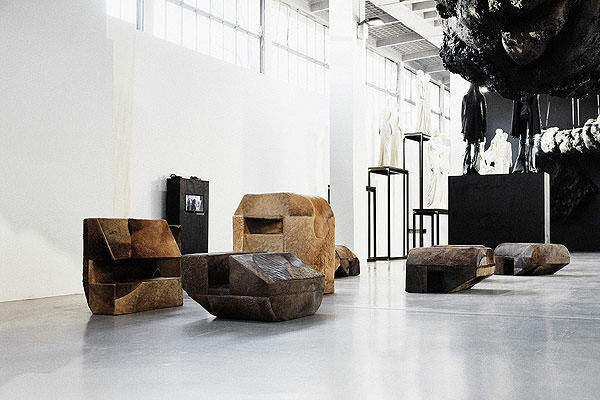 Now the designer has just launched a major exhibition in which to showcase his multifaceted work, the first of its kind. 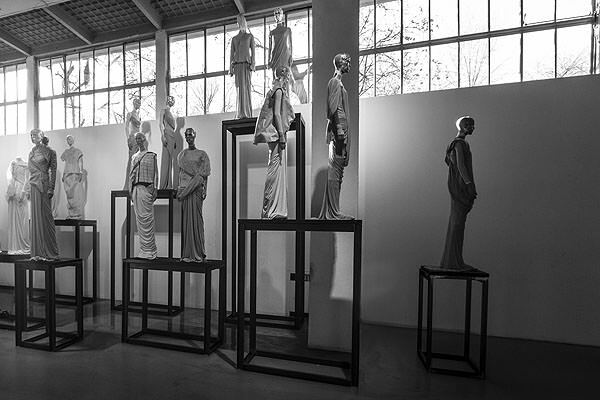 Titled 'Subhuman Inhuman Superhuman,' the retrospective at the Triennale di Milano is envisioned as a Gesamtkunstwerk (“total work of art” in German). 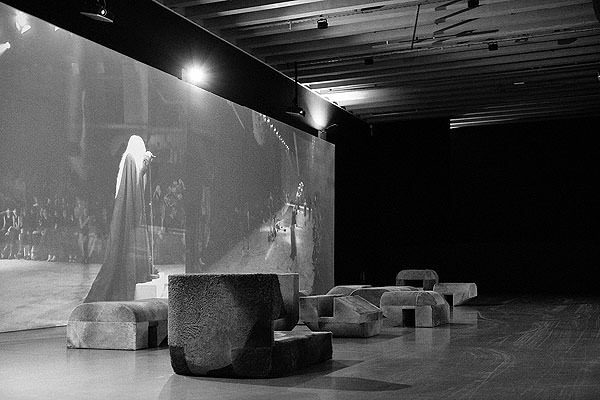 Orchestrating the project down to its last detail, Owens has selected more than 100 designs from his archive spanning two decades — as well as furniture, graphics, sculptures, and runway videos — to be displayed in a site-specific installation, also created by the designer. 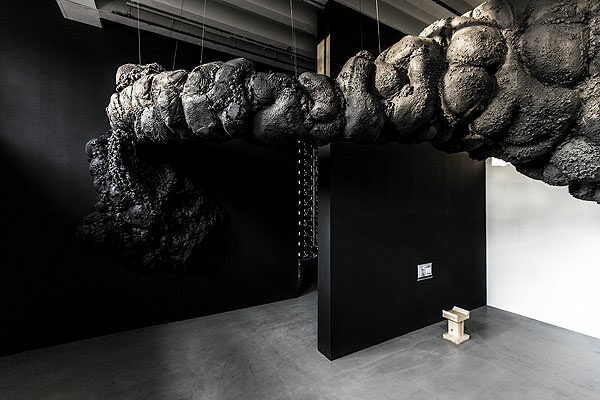 Key to the retrospective is a suspended installation, an enormous glop — composed of concrete, crushed lilies, Adriatic sand, and his own hair — winding its way through the various rooms. 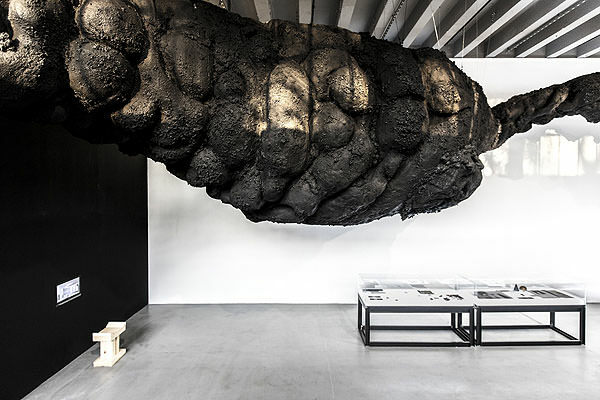 Intended as a metaphor for the human drive to create, the sculpture may also, as the NY Times pointed out, fulfill a promise made early in Owens's career to "lay a black glittering turd on the white landscape of conformity."